WorkMate II clipboard features six internal divided sections for storage of desktop supplies. Strong, spring clip with rubber corner grips holds a sheet or pad of paper securely. Clip is made of nickel-plated steel. Internal cover also holds sheets or pads of paper. Clipboard opens flat for tabletop or desk use and offers a large smooth writing surface. 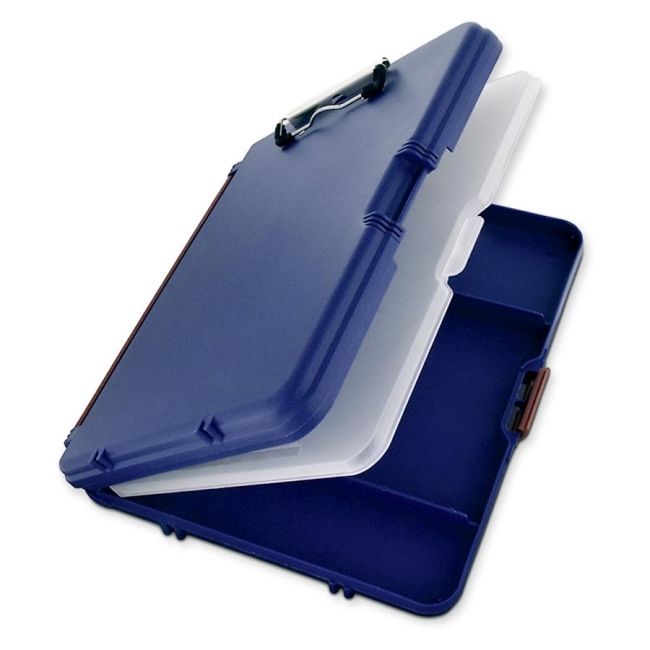 Clipboard is made from durable polypropylene.